Friday night is pizza night in the Johnson house. 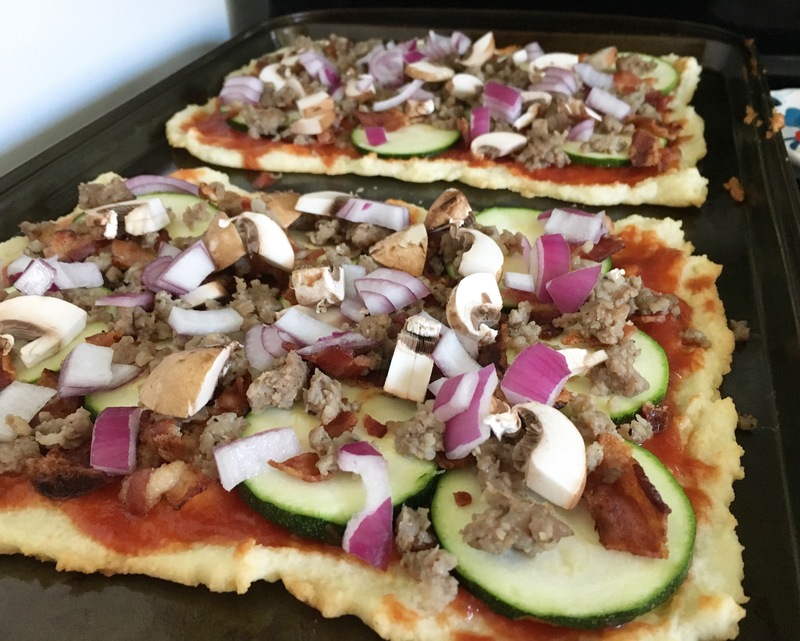 My husband and I are both pizza lovers so finding a Paleo pizza recipe was crucial. So I’m here to share what’s been working for me. 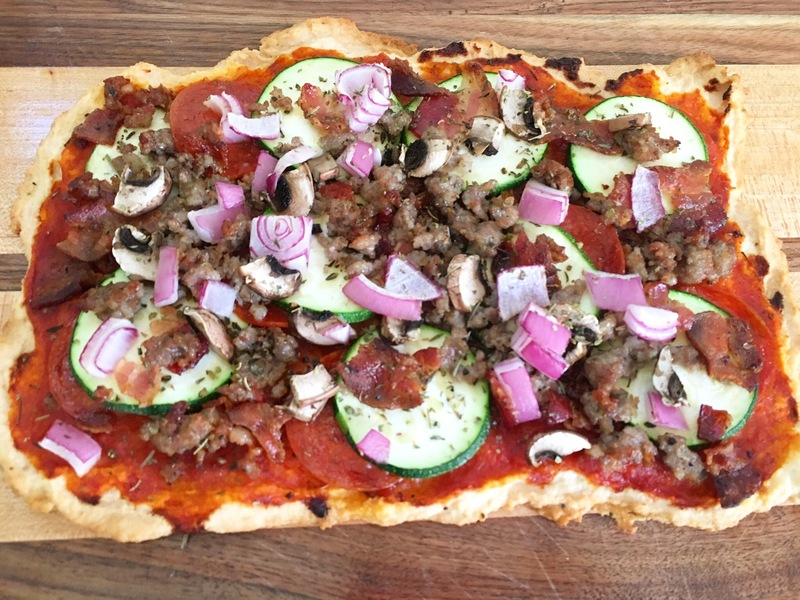 Paleo pizza is pretty easy to make. It’s definitely less time consuming than modern wheat crust. 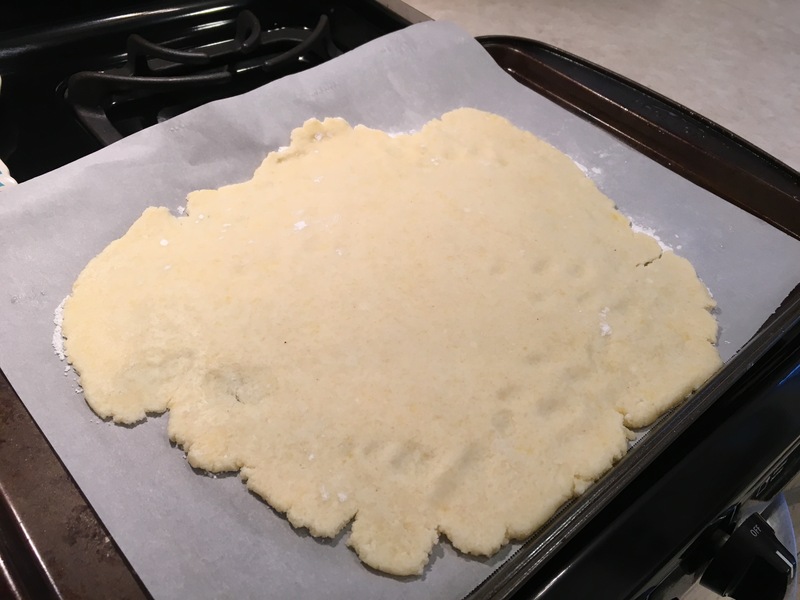 Tapioca and coconut flour are the base flours for this. 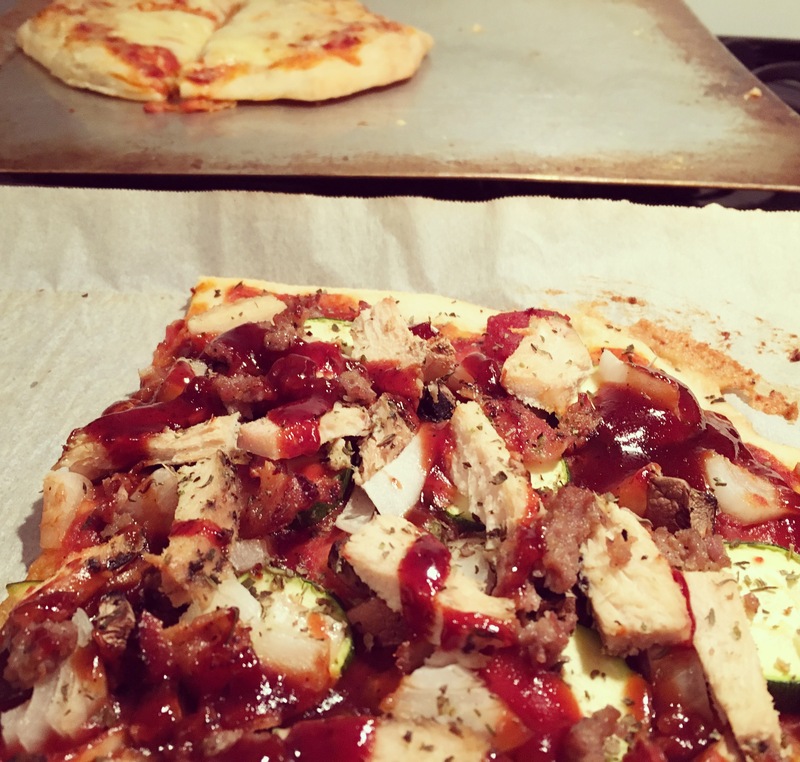 Parchment paper is nice as well because the pizza doesn’t stick and clean-up is easy. Add wet ingredients except water in a bowl. Store until it thickens. Add water slowly and mix till ball forms. 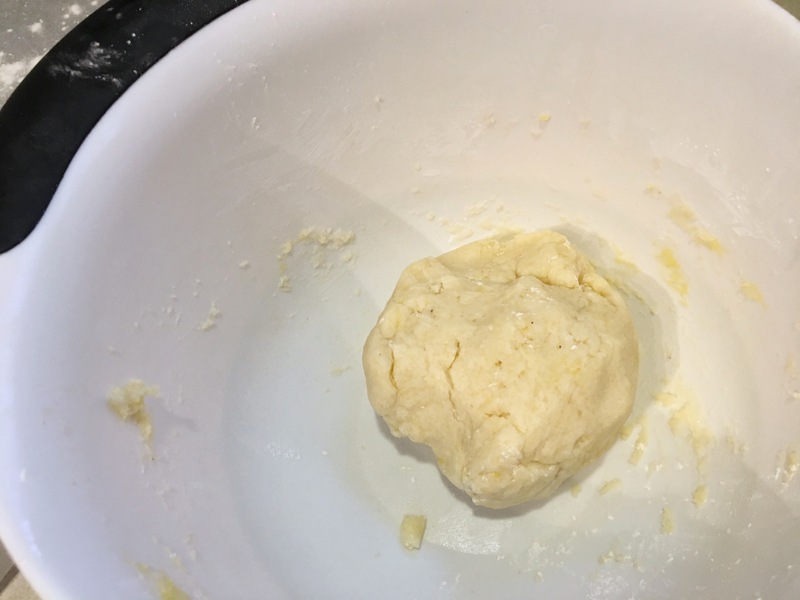 Using all the water will make it more runny and not doughy, which I do often as well. 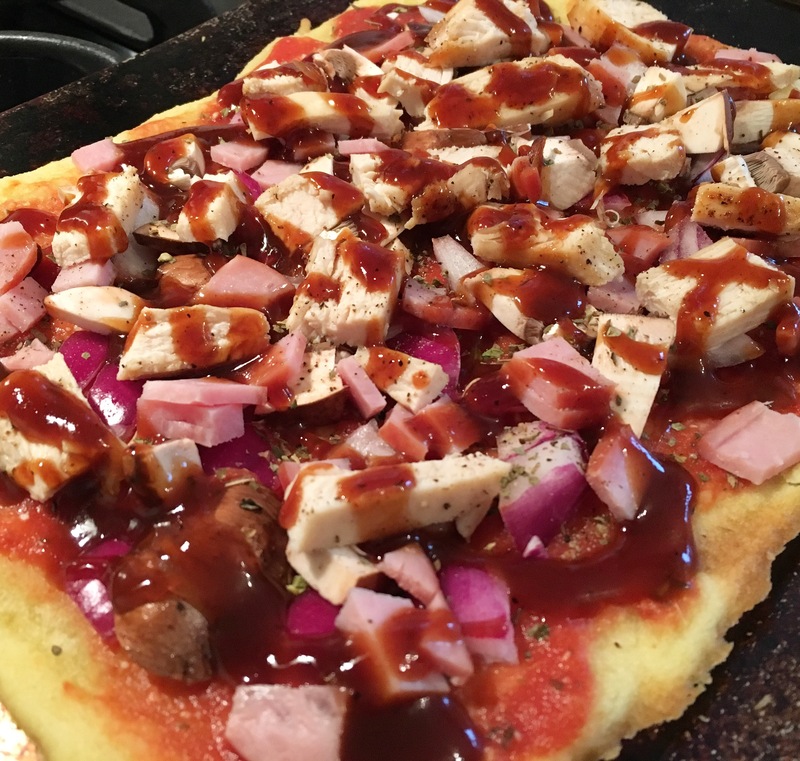 If you want to do that then just pour it onto your parchment paper and spread it on your pan with a spoon into whatever pizza shape you want and don’t use fingers (skip step 4). 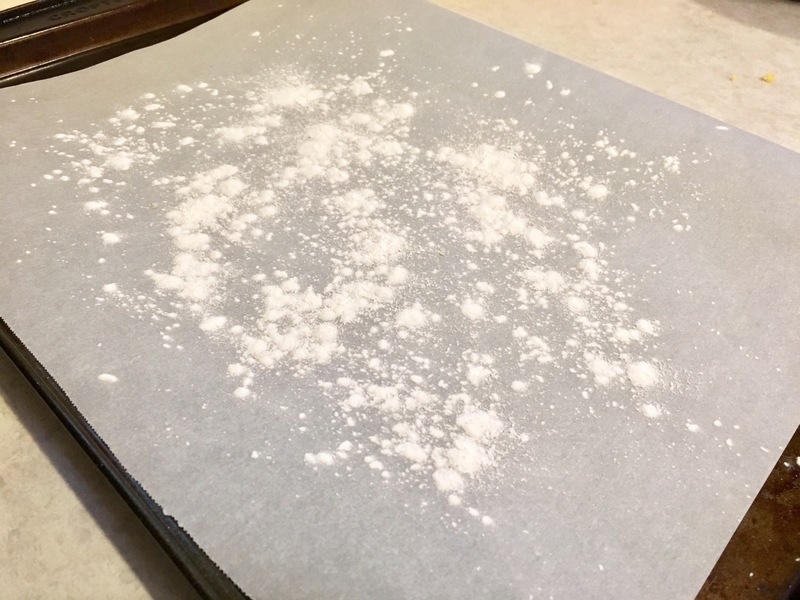 Sprinkle tapioca on parchment paper and hands to spread dough. Pre-bake for 8-10 minutes at 415 degrees. Pull out of oven and let cool 5 or so minutes. Add sauce and toppings. I’ll share some of my favorites below. Bake another 15-20 minutes at 415 degrees. 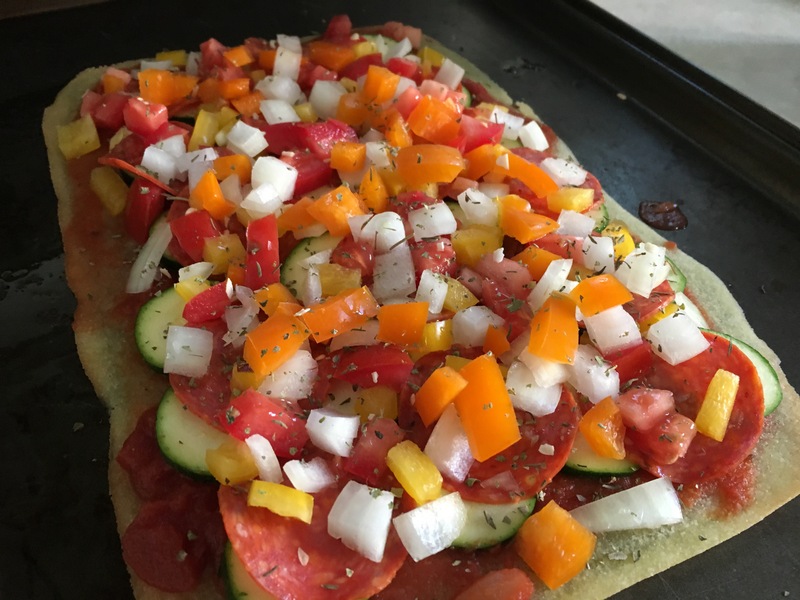 Heavy on the Veggies pizza- Marinara sauce, zucchini sliced thin, pepperoni, colored peppers, onions, tomatoes, and then sprinkle seasonings on top such as Italian seasoning, oregano, basil, garlic salt, pepper. So many options. When you switch over to Paleo, you notice that your flavors expand more to seasonings and taste from vegetables and meats rather than cheeses and breads. 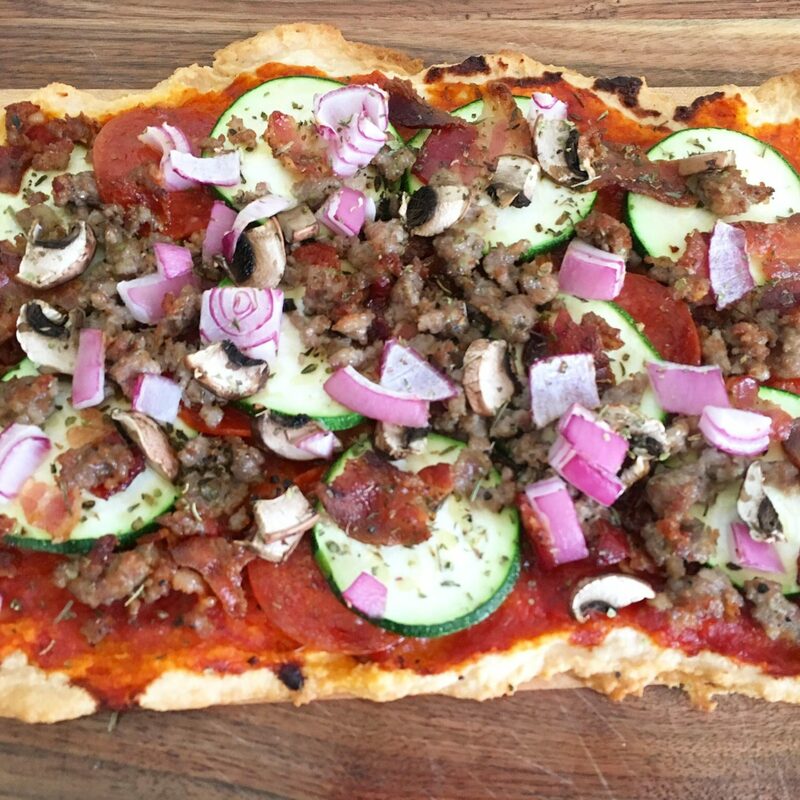 Meaty pizza- Marinara sauce, zucchini slices, bacon cooked and crumbled, sausage, mushrooms, and red onion. Sprinkle choice of seasoning. 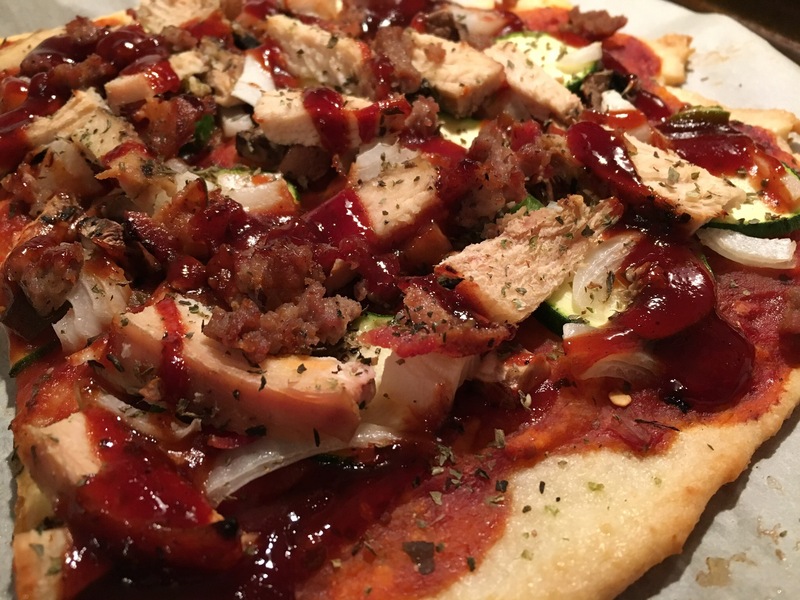 BBQ chicken- marinara, cooked chicken chopped, pineapple, onion, mushrooms, BBQ sauce. Adding ham is a delicious addition as well. Sprinkle seasoning, salt, and pepper on top. The ideas and combinations are almost endless. I like to grab whatever I can find from my fridge and throw it on! The ingredients for the crust are available at pretty much any store these days. 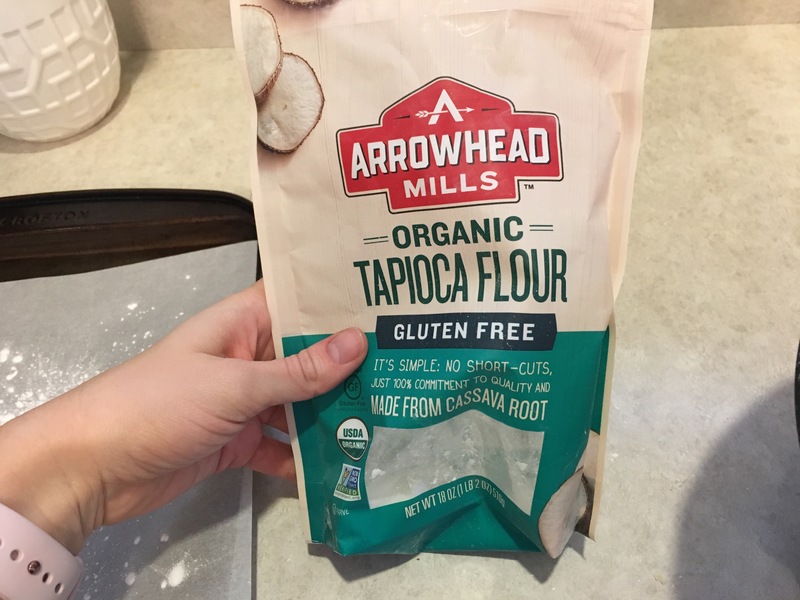 You can swap out the tapioca for arrowroot if you need to, as well. They exchange the same. Good luck and happy pizza night!